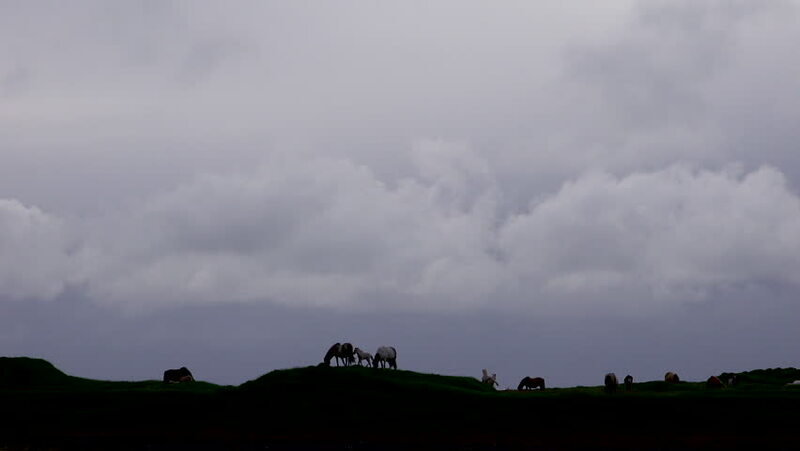 ICELAND - CIRCA 2018 - Icelandic horses kick and play in silhouette on a lonely butte. hd00:07Hyper lapse view of an aircraft appearing from sunset and landing on runway. hd00:30Distant large fire 1. HD.